"You may have me outnumbered and outgunned, but if I'm going down, I'm taking all you with me. This thermal detonator will blow us all to bits!" A thermal detonator, also known as a thermal grenade, was a highly unstable grenade-like weapon popular among military personnel, criminals, bounty hunters, and mercenaries. The thermal detonator was utilized since at least as early as 4000 BBY. "It's a thermal detonator. […] If you let go without disarming the deadman's switch first, it goes off." "Makes a small thermonuclear fusion reaction." "A small thermonuclear fusion reaction." "Yeah, just enough to vaporize a good-size chunk of whatever is next to it." 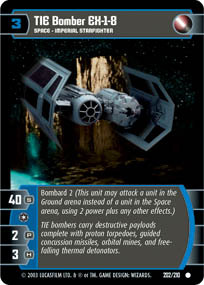 The thermal detonator was designed to be thrown by a creature, human, etc.planted in a specific location or on a specific vessel, or dropped by a vehicle. It would then adhere to any metallic object until it detonated. The reasons for using a thermal detonator varied widely, and despite the legal restrictions of many governments, the thermal detonator saw widespread use across the galaxy. The name was descriptive of the process by which the device explodes. Inside the shell, which was generally made of thermite or axidite, was a sample of baradium, a highly volatile substance. A trigger emitted a short burst of energy that forced the baradium into a state of fusion reaction. This trigger could simply be a button. Some had a fail-deadly trigger, meaning that if it was released, it would set off the grenade. Once activated, the user could reset the grenade to its safe position, thus disarming it before it detonated. The result of the explosion was an expanding particle field that could atomize any material that did not conduct heat or thermal energy within the fixed blast radius; typically five to six meters, though some had an even greater radius. Specific grenades could have a blast up to 100 meters. Unlike other grenades, a thermal detonator's blast would only go as far as its blast radius. After that, the blast field would collapse, and anything even slightly beyond the blast radius would be left unharmed. Most thermal detonators had fixed field yields and radiation burst yields, along with timers. Some, such as those used by Imperial stormtroopers, featured adjustable timers, with settings typically ranging from 6 to 18 seconds. The different types of thermal detonators varied in power greatly. Although typically used as a grenade, many were far deadlier. For use as thrown explosives, thermal detonators used a thumb-operated trigger and a timed detonator to ensure the weapon bearer did not destroy himself. When used by a soldier, the trigger was pressed and the device was then lobbed towards the enemy. It had to be timed, so it couldn't be thrown back, or detonate in mid-air. When used as gravity or inertial explosives by starfighters, speeders, or mortar units, thermal detonators used a range sensor to determine the appropriate trigger time. Some could even be clamped onto things, such as speeders. Thermal detonators were sometimes used as mining tools, but other devices were better suited for the job. Some people connected several thermal detonators using a linking mechanism, which would allow them to detonate at once and increase the damage. Small thermal detonators could be inserted in a victim's body and set to explode when an external condition was met. In that case, the victim would die in the explosion, but bystanders would not be harmed. The explosive charge could be removed from a thermal detonator and replaced with a small ion charge, effectively becoming an ion grenade. "Because he's holding a thermal detonator!" By the late days of the Galactic Republic, thermal detonators had become very common and more practical than the aging fragmentation grenade and the plasma grenade, despite the fact that the Republic had outlawed them. Ironically, the Republic would use them in its army. The Separatists also used thermal detonators though not as often, during the Clone Wars. Bounty hunters were known to carry them on their belts not only to intimidate, but to use. Stormtroopers and Rebel soldiers both employed thermal detonators during the entire Galactic Civil War. Elite Stormtroopers known as Storm commandos carried thermal detonators. While she was disguised as Boushh the Ubese bounty hunter, Leia Organa threatened to use a thermal detonator during her encounter with Jabba the Hutt in a plan to rescue Han Solo. Models of thermal detonators first appeared in Star Wars: Episode IV A New Hope, although their usage spans from Star Wars: Knights of the Old Republic to Star Wars: Legacy.